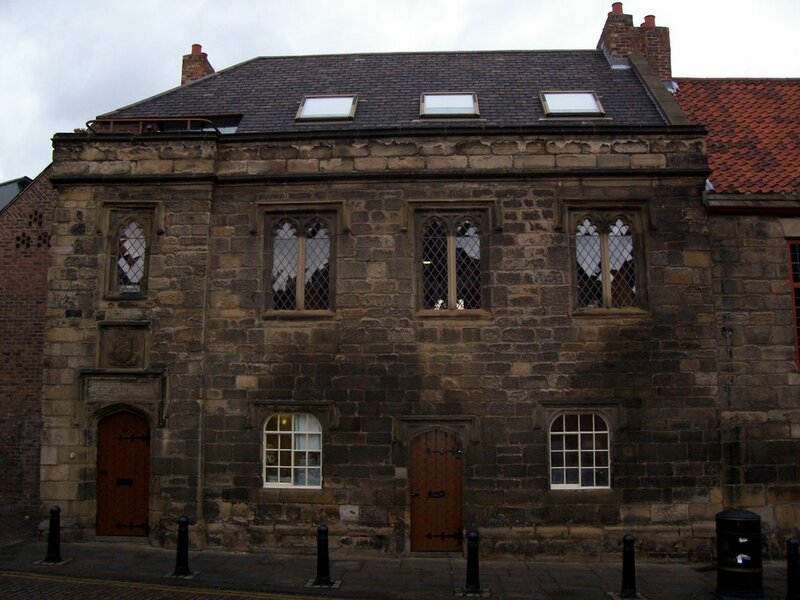 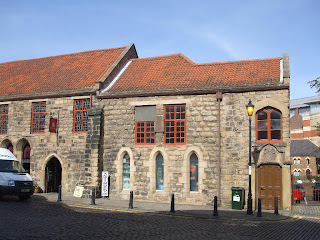 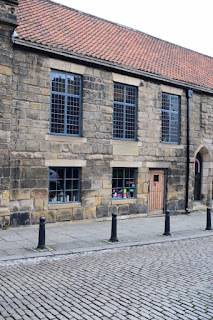 Blackfriars is a restored 13th-century friary in Newcastle upon Tyne, Tyne and Wear, England. 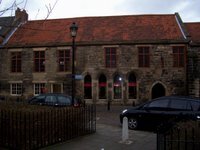 It is in the city centre, close to the city's Chinatown. 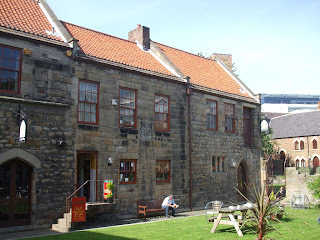 It is Grade I listed. 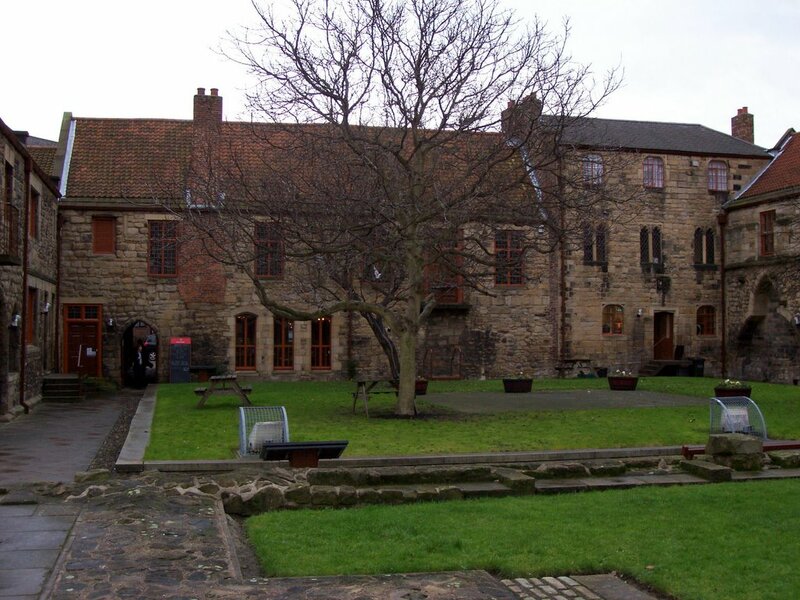 During the early years of the 13th century, orders of friars began to establish themselves in England. 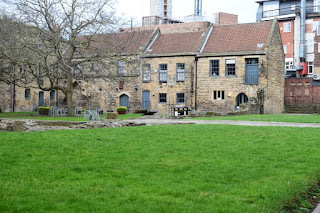 Newcastle came to have five friaries within its walls: Blackfriars (Dominican) established in 1239; Whitefriars (Carmelite) established in 1262; Austinfriars (Augustinian) established in 1290 (now the site of the Holy Jesus Hospital); Greyfriars (Franciscans) established in 1274 and the Trinitarians established in 1360. There was also the nunnery of St Bartholomew’s founded in 1086 near the present Nun Street. 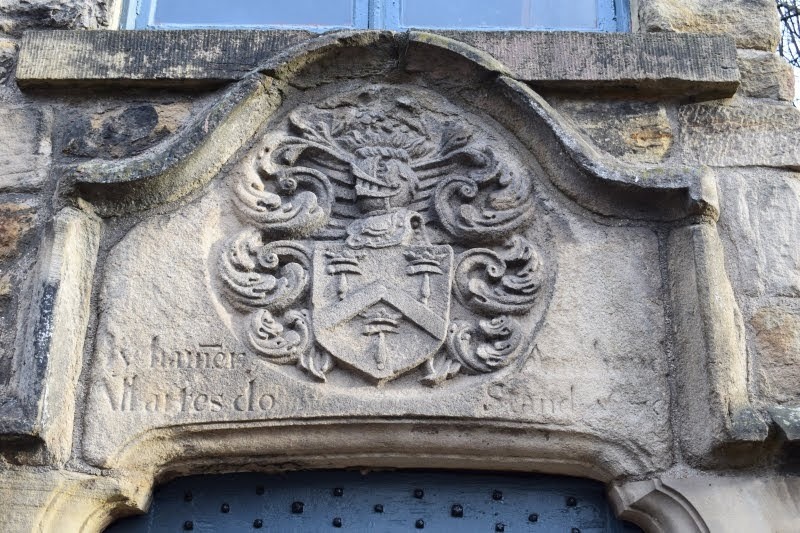 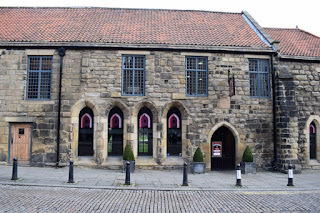 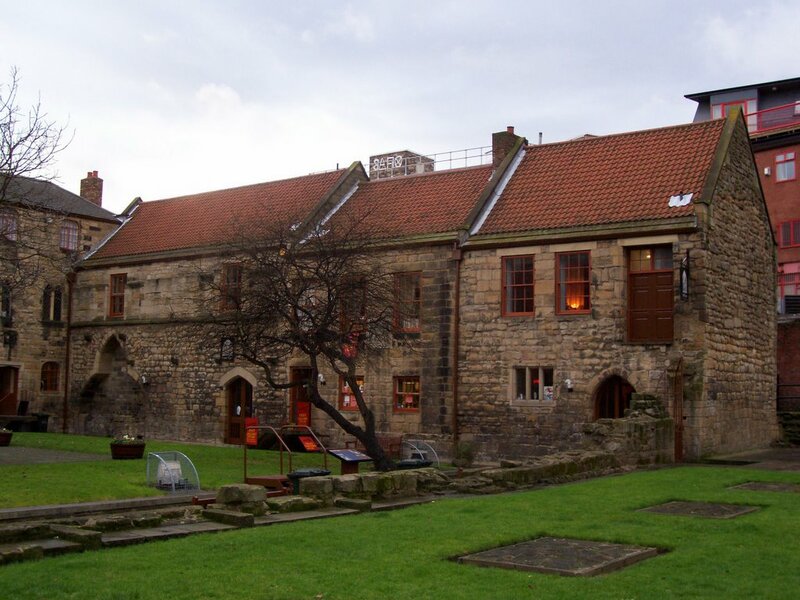 The Dominican friary was founded by a wealthy Newcastle merchant, Sir Peter Scott. 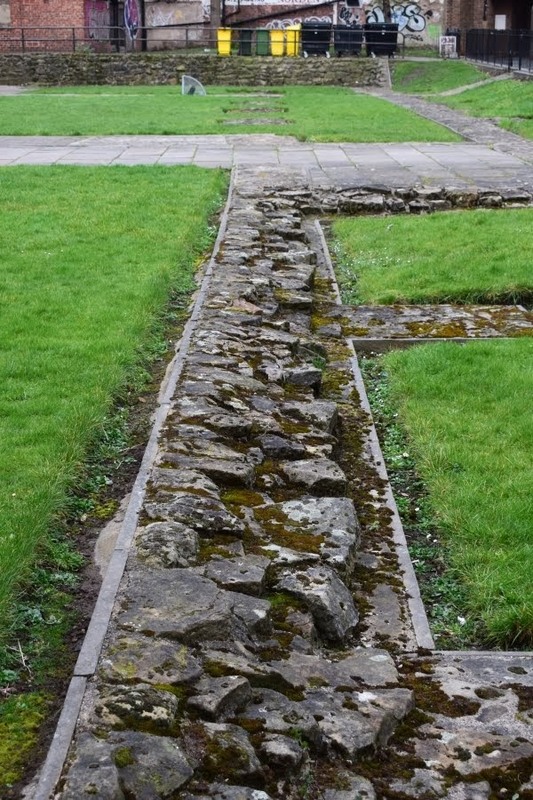 Friars differed from monks, in that worship featured less prominently in the daily routine of the friary. 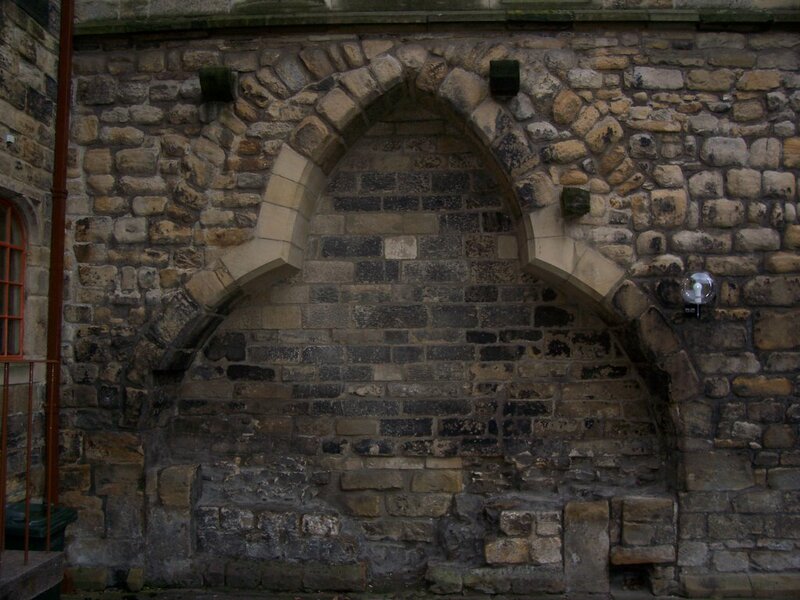 They were clerics who initially lived solely by begging, and they were mostly located in urban areas. 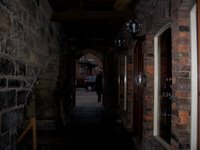 They were therefore known as mendicant orders. 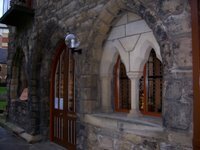 The Dominican order was founded by St Dominic, also known as Dominic of Osma, shortly after 1200. 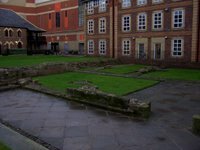 Dominicans were forbidden to own buildings and land, but such property could be held in trust for them. 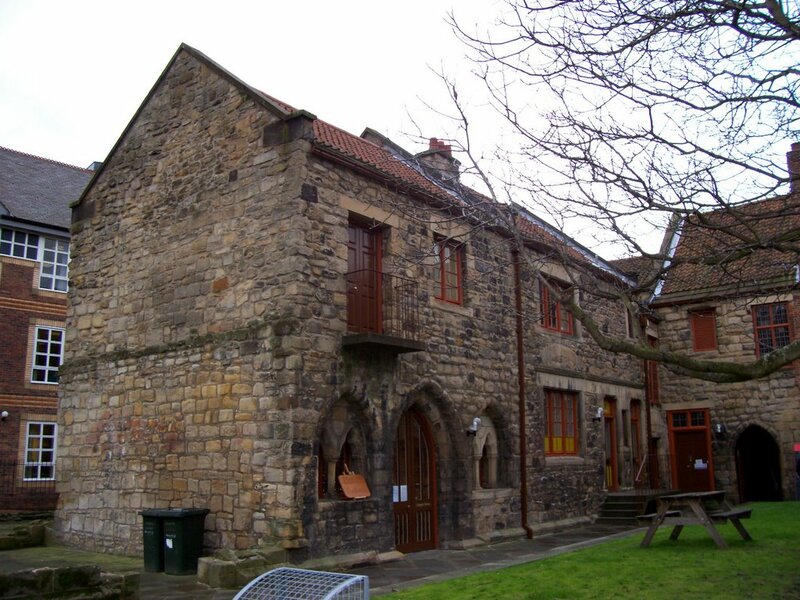 Such was the case with Blackfriars, which was situated in the north west of Newcastle just inside the city walls. The friary covered seven acres (2.83 hectares), but also had two gardens and four small closes that provided a small income. 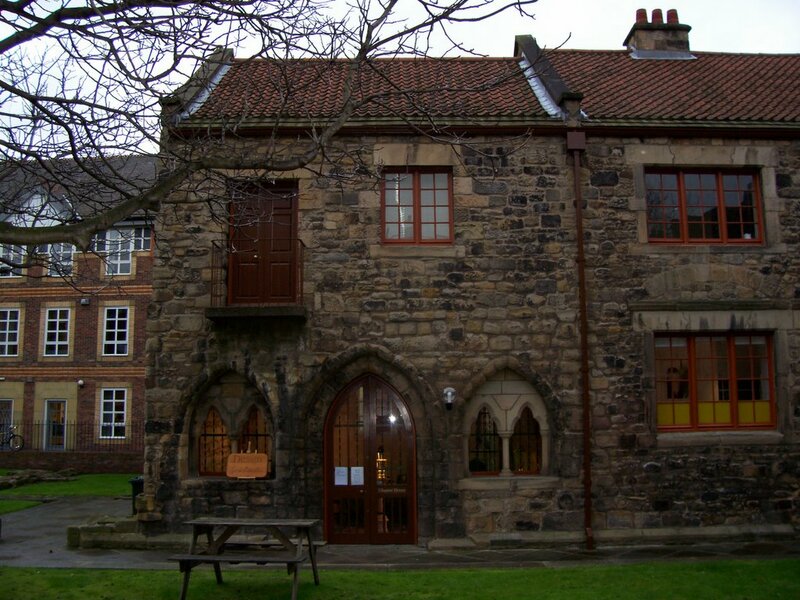 During the 14th century, the friary accommodated royalty on more than one occasion. 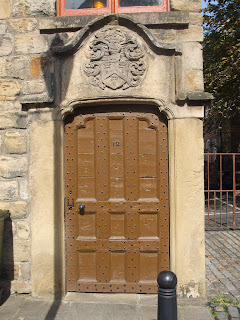 In 1334 Edward III of England and Edward Balliol, the claimant to the Scottish throne, met there. 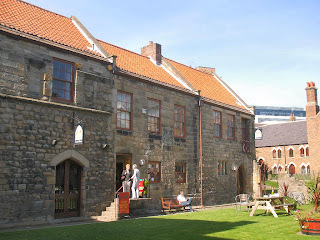 During the Reformation begun by Henry VIII in 1536, the five Newcastle friaries and the single nunnery were dissolved and the land was sold to the Corporation and to rich merchants in 1539. 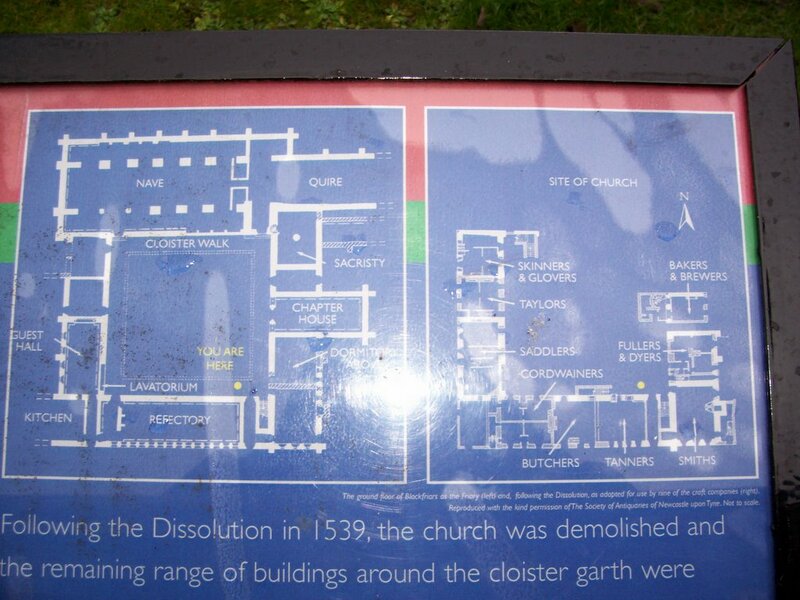 The Church, sacristy, eastern half of the chapter house and cloister were all demolished. 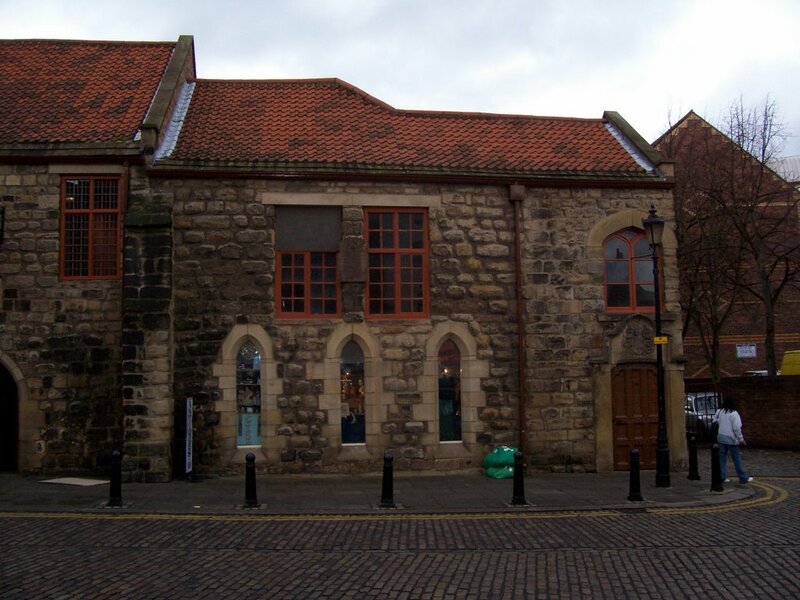 At this time there were fewer than 60 inmates of the religious houses in Newcastle. 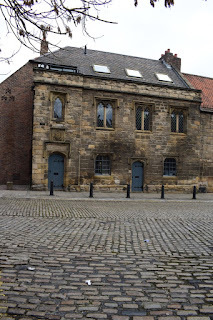 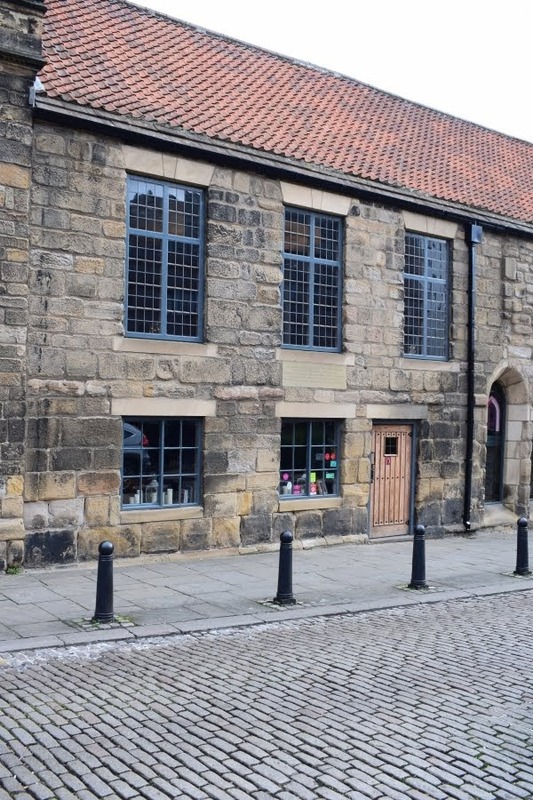 The convent of Blackfriars was sold to the mayor and burgesses of Newcastle, who then leased it to nine of the town’s craft guilds, to be used as their headquarters in 1552. This probably explains why it is the only one of the religious houses whose building survives to the present day. 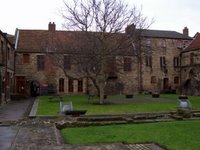 The guilds carried out extensive changes to adapt the cloistered buildings to their own use. 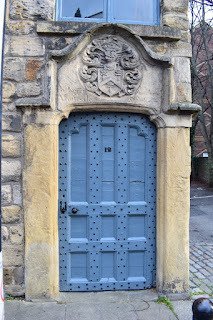 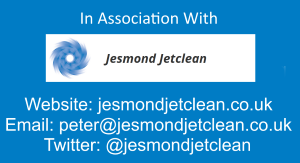 This was carried out in the late 16th and early 17th centuries. 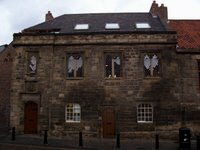 Between 1709 and 1739 many further alterations were made, such as providing new windows and altering floor levels. 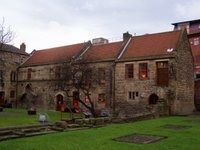 Some of the guilds, such as the Tailors and the Cordwainers, moved out of Blackfriars for a while and subsequently returned. 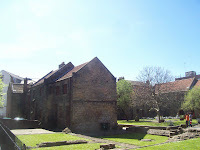 The guilds’ meeting houses in Blackfriars were well used until the 19th century. 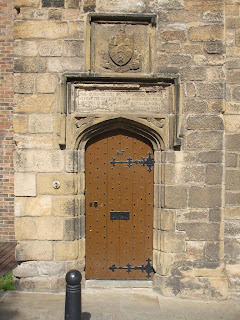 The guilds only met in them once a quarter, so that they were used for other purposes the rest of the time. 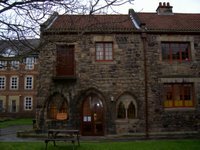 Ground floor rooms often served as dwellings, either for people employed by the guilds, or for the needy, who lived there free of rent. 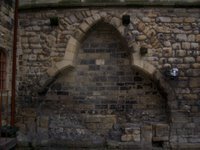 During much of the 19th century and into the 20th century, the buildings of Blackfriars were neglected and fell into an increasingly bad state of repair. In 1937 the Saddlers’ property was declared as unfit for human habitation. 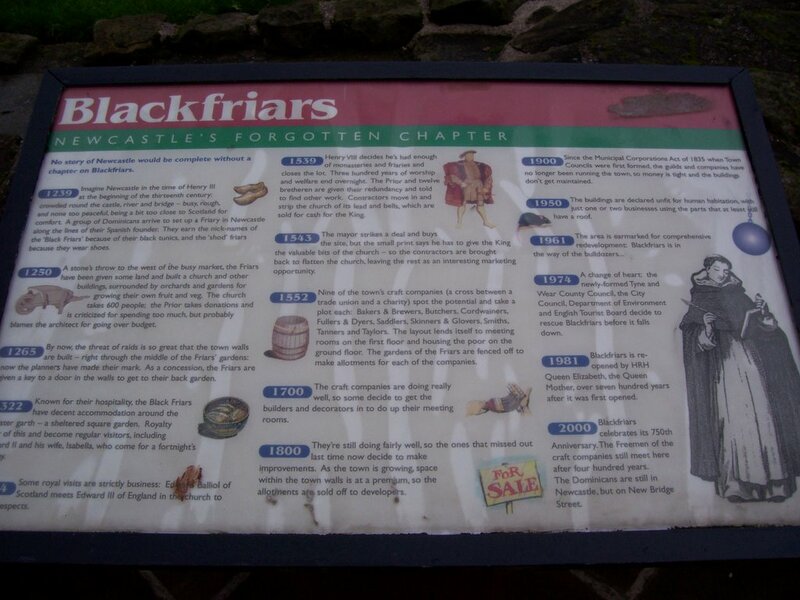 Newcastle Corporation acquired Blackfriars in the early 1950s. 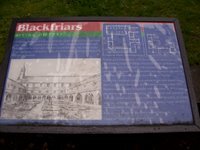 At one time there appeared to be a possibility that the Dominicans might return to occupy Blackfriars, but this did not happen. 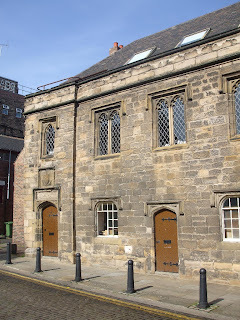 The guild of Tailors, among others, continued to meet at Blackfriars until 1974. 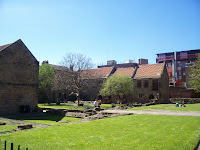 Between 1973 and 1981, the buildings of Blackfriars were restored. Only the buildings of the cloisters remain. In the Middle Ages the cloister consisted of an open garth, approximately 69 ft (21m) square surrounded by a 10 ft (3m) wide covered walk. 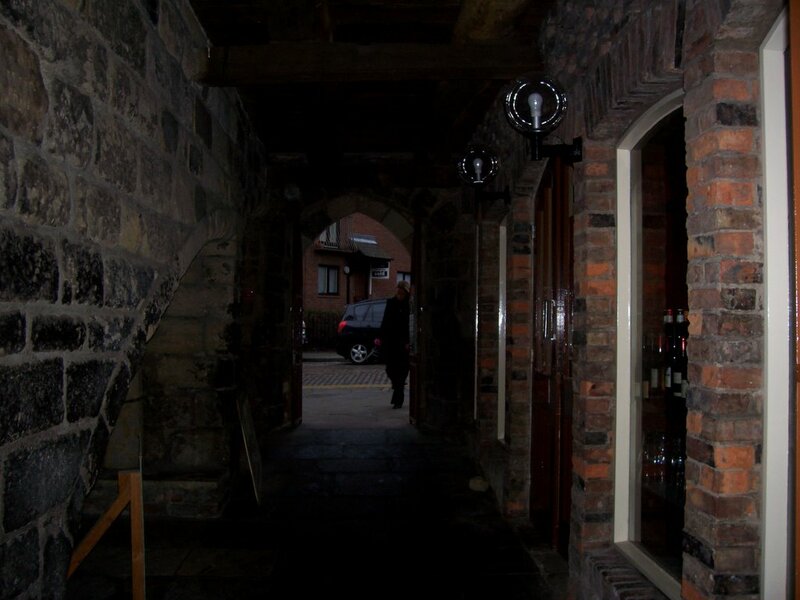 The covered walk no longer exists. 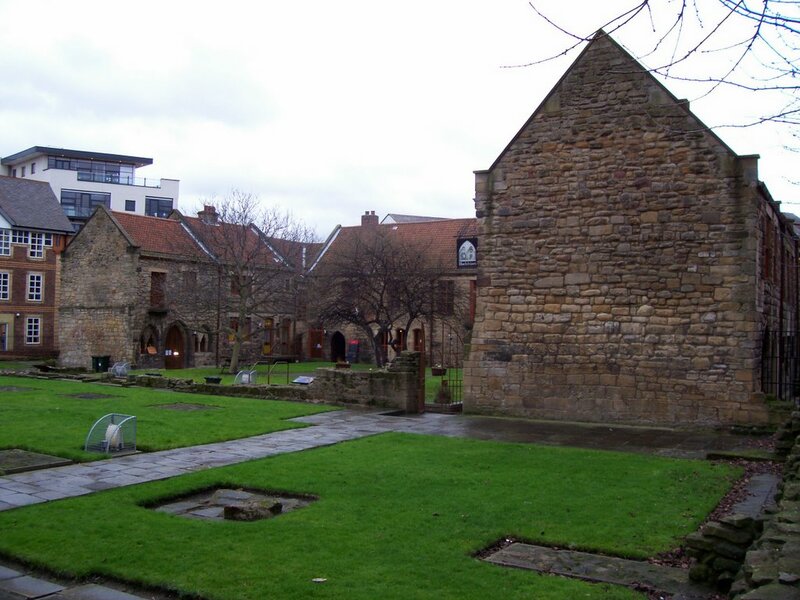 The friary church was at the north end of the cloister, but was demolished in the 16th century. 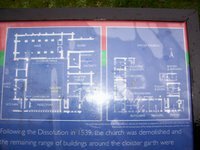 The outline of the church can be made out in the grassy space that remains. 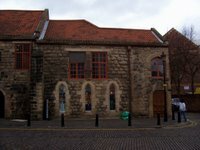 The buildings now house a range of craft workshops and a restaurant owned by Andy Hook with Head chef James Balloch. 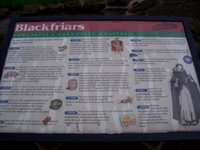 Blackfriars also houses an exhibition, which describes the history of Blackfriars. The large grassed courtyard contrasts with the busy city life that surrounds it. 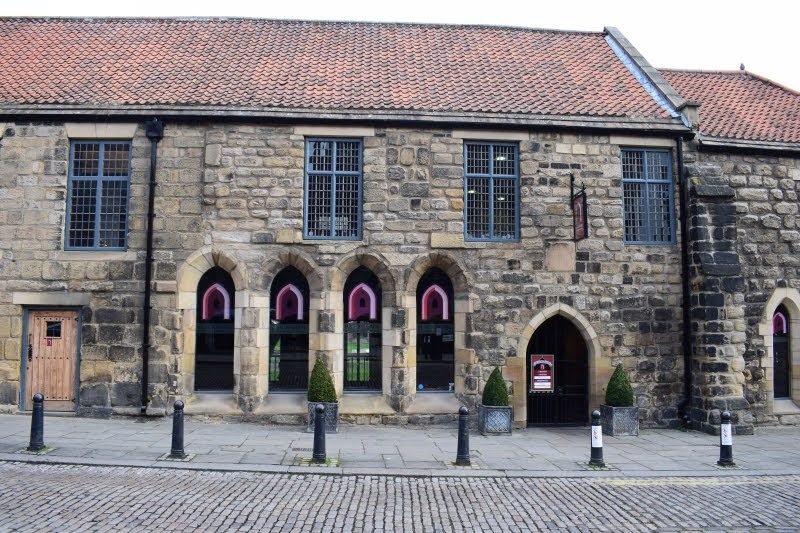 The Tanners Guild still use the former Smiths Hall (referred to as the Freemen's Hall) in Blackfriars for their meetings. 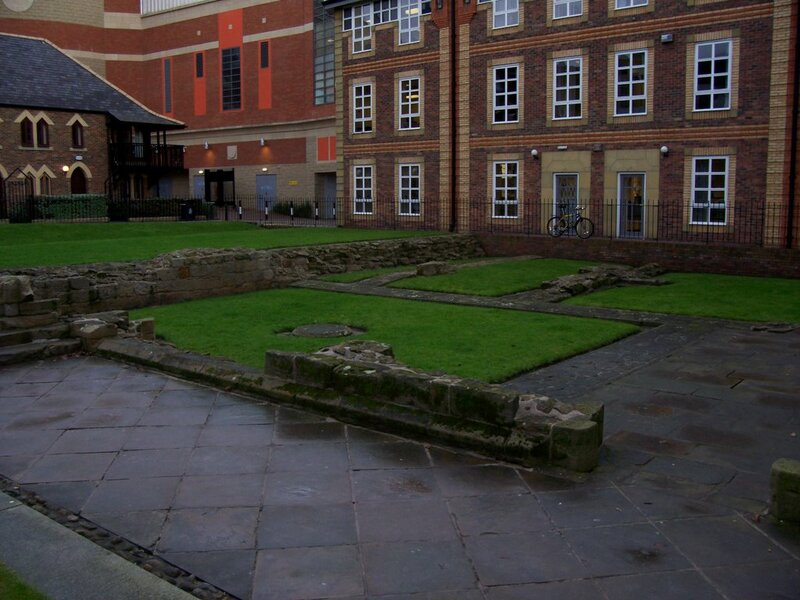 The site is close to the most intact section of the old town walls. 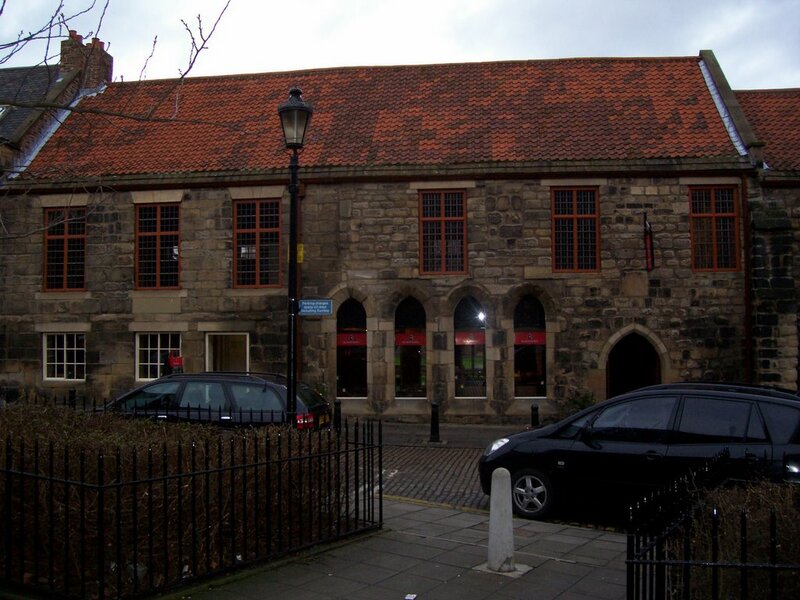 The Blackfriars (Order of Preachers) returned to Newcastle in the nineteenth century. 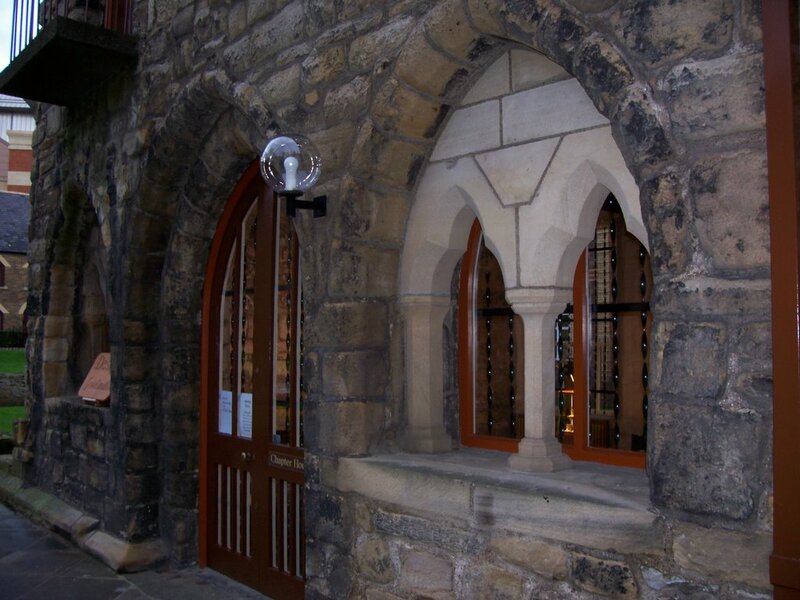 St Dominic's Priory, the new Blackfriars, was opened by Cardinal Manning in 1873. it is situated on New Bridge Street. 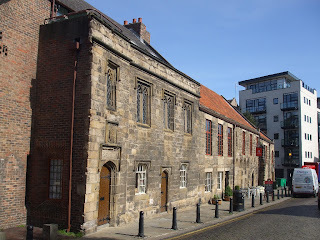 This article uses text from the Wikipedia article "Wikipedia - Blackfriars, Newcastle", which is released under the Creative Commons Attribution-Share-Alike License 3.0. 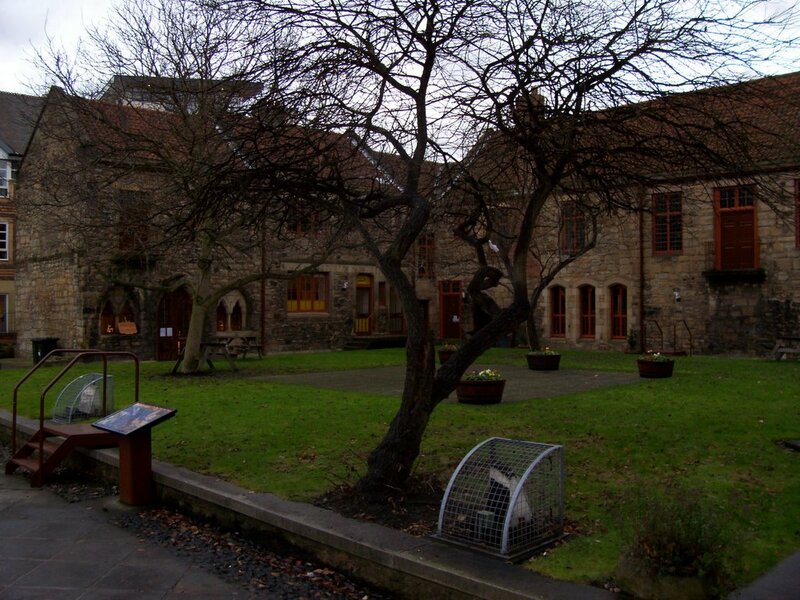 Portrait view of the chapterhouse and refectory. 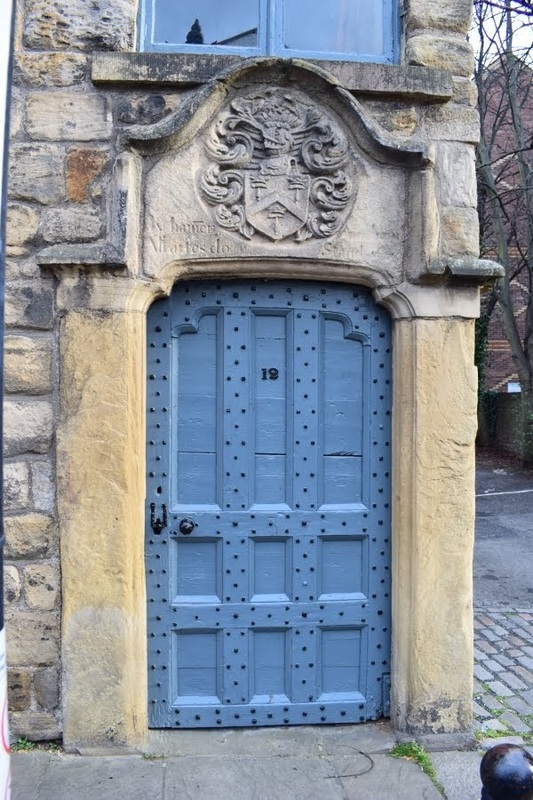 External close up photo of guild doorway. 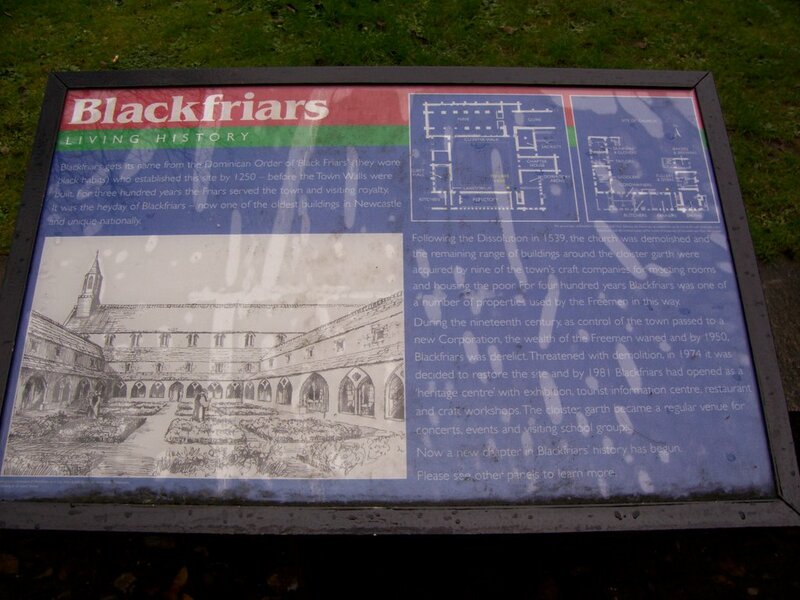 Portrait photo of one of the buildings at Blackfriars before being restored.